What is Hypertrophy Specific Training? What is the repeated bout effect? How to determine weights for each exercise in HST? How many reps and sets should I do for Hypertrophy specific training? When to take deconditioning in Hypertrophy specific training program? What are the preferred exercises for Hypertrophy specific training? The term HST stands for Hypertrophy-Specific Training. Majority of workout programs that we are seeing nowadays are not based on the science of muscle hypertrophy. Hypertrophy-specific training program is based on the principles of muscle growth discovered in many research studies. These research findings are transformed into applicable mechanical loading to cause maximum muscle hypertrophy. Hypertrophy-specific training is based on the physiological principles of muscle hypertrophy. 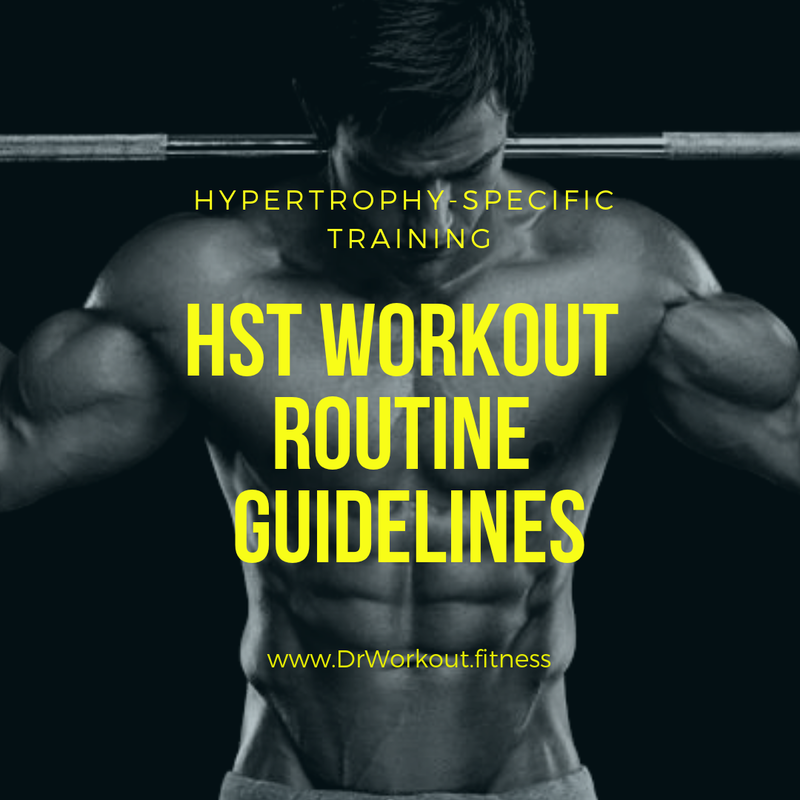 In HST workout the muscle hypertrophy principles are transformed into most effective sets-reps-schedules scheme to induce maximum predictable repeated muscle growth with little possibility of error. 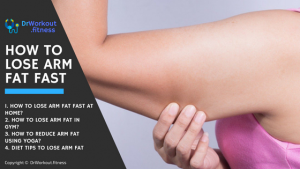 As the studies continues to explore the actual mechanism of muscle growth, this inaccuracy will be whittled away. If you go through research studies related to muscle hypertrophy, it becomes clear that most of the bro science and bro split workout routines like body part splits are not based on physiological principles on a cellular level. This doesn’t mean bro-splits don’t work – these programs also work. But the problem is they are not effective. If you’re trying to come up with a training program based on the science findings, your workout routine will look a lot different from traditional training routines. Without any ado let’s drive straight into the principles of Hypertrophy-specific training program. Mechanical load is essential to promote muscle hypertrophy. Muscle growth is determined by a lot of factors – MAPk/ERK, growth factors, calcium, satellite cells etc. Mechanical load explains how your body responds resistance training. In simple words, the primary factor for muscle hypertrophy is the physical effect of weight lifting (both positive and negative movements are included), not the effort needed for the training. I know you are trying to differentiate between physical effect and effort. It is very simple. You don’t need to be tired in order to induce muscle growth. To maximize muscle growth train heavy enough to strain the muscle tissue. Never judge your workout based on effort that you put on that day. So never focus only on how tired you are to judge your training. In order to maximize muscle growth you need to provide sufficient frequency. High frequency training will provide the optimum environment for muscle growth. The downside traditional workout programs is that you are taking a 1 week recovery rest period after hitting an isolated muscle part. Muscle responses to resistance training like increased protein synthesis, prostaglandins, IGF-1 levels, and mRNA levels all go back to normal levels within 36-48 hours. This indicates anabolism from lifting lasts only 2 days. The problem with Bro split routine is you will spend 2 days for growing muscles and half a week in a semi-anti catabolic state returning to normal. Some lifters call this resting period as recovery phase. In HST program you will hit each muscles every 48 hours. In this way you can keep anabolic activity of the muscle at an elevated level. 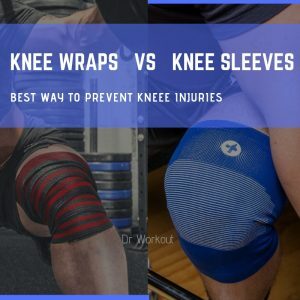 This training frequency is based on a research that shows recovery can take place without any reduction in strength even if the same muscle is trained again in 48 hours. If you train with weight eventually your body gets adapt to it, as a result muscle tissues become resistant to damage from mechanical load. This muscle adaptation or resistance to the stimulus can happen in as little as 48 hours (repeated bout effect or rapid training effect). After performing a resistance exercise, the muscle tissues rapidly adapts to prevent further damage from the same movement. This is a protective effect. The magnitude of the protective effect is subject to many parameters. It also varies between people. This protective adaptation is called the “repeated bout effect”. It is also called as “rapid training effect”. Because of the repeated bout effect muscle hypertrophy will stop. But strength gain from resistance training is neuromuscular in nature. The reason behind strength gain from weight training is neural adaptation which include altered recruitment patterns, rate coding, synchronization of motor units, recruitment of new motor units, reflex potentiation, prime mover antagonist activity and prime mover agonist activity. The increase in strength is depends on the activation of motor units. To overcome the repeated bout effect lifting load must be increased consistently or change the exercises regularly. There are some limitation to progressive loading. Once you reach your maximum voluntary strength it will become very difficult add more weights. At this point all the exercises that you do in the gym serves only to maintain your size. Muscle is sensitive to changes in the load (up or down). When you reach your relative maximum potential progressive loading is not possible. When you reach this stage you should decrease the degree of conditioning to the load (strategic deconditioning). This will make muscles sensitive to the effect of training again. You may take 1-2 weeks of rest or limit your sets and reps with low load for 2 weeks. Strategic deconditioning will prime your muscles to grow again. HST workout incorporates high rep scheme. 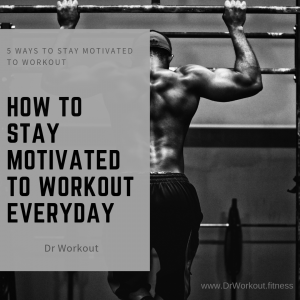 Because of the high rep scheme, there may not be enough oxygen to perform the movement, so a substance called lactate is made to overcome this scenario. Your body converts lactate to produce energy. But as the concentration of by-products of this process (lactic acid) increases you may experience cramps, nausea, weakness, burning feeling in your muscles and feeling exhausted. This is how your body tells you to stop what you’re doing. University of California, Berkeley physiologist George Brooks has found that metabolically-taxing workouts teaches muscle cells how to use lactic acid as a fuel. Metabolically-taxing workouts helps mitochondria grow, take in more lactate and burn it to produce more energy. In simple words higher reps helps bodybuilders get rid of the lactic acid before it can build to the point where it causes muscle fatigue. In addition to this, the high rep training will prepare the muscles and tendons for future heavy load lifting. Metabolically-taxing workouts maximize the healing of strained tendons. This workout scheme act as a regular maintenance. In HST workout weightage is given to compound movements to maximize the effects of loading on as much muscle groups as possible per exercise. In Hypertrophy-specific training workout one should follow a 2 week period for each rep range. In this way you can accommodate ever increasing mechanical load. Remember, this rep altering has nothing to do with the muscle adaptation. Adjusting rep scheme every week is more effective (e.g. 15,12,10,8,5 etc. ), but this is more complicated and people might not understand. Because of this reason HST suggests to use a 2 week period for each rep range. The goal of HST is in creating the high frequency workout schedule to create the necessary environment to maximize the muscle hypertrophy. 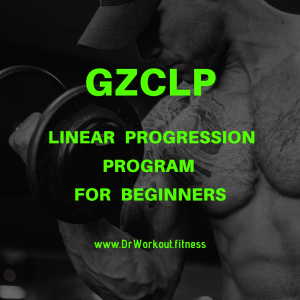 In order to create high frequency in hypertrophy specific workout program we are limiting the number of sets per exercise per workout to 1 or 2. The number of sets is set low to accommodate high frequency in the program. Before beginning hypertrophy-specific training you should find your 15 rep max, 10 rep max, and 5 rep max for each exercise. As I mentioned before for each workout we need to add 5-10 pounds from beginning to last. To do this assign your rep maxes to the final day of each two week block. Now assign weights in a decreasing order (5 to 10 pound) starting from the last workout day to the first. Reps: HST recommends to follow a 2 week block for each rep range. Reps will decrease in every 2 week block in the following order 15 reps for the first 2 weeks, 10 reps for 2 weeks, 5 reps for 2 weeks, then continue with your 5 rep max for 2 weeks or begin 2 weeks of negatives. Sets: For accommodating high frequency style of training sets in HST are limited to 1 or 2. For creating consistent stimulus for muscle growth high frequency training is very important. In hypertrophy specific training each muscle groups should be trained 3 times per week. After completing 6-8 week cycles take a one week for strategic deconditioning with no training. Strategic deconditioning is very helpful to prevent injuries. Light 20-40 min cardio can be performed on the rest days but remember regular rest is very important to prevent injuries. Warm up very well before beginning the workout. Utilize at least 10 min for warming up. Proper warm up will increase the muscle temperature and blood flow. This will prepare muscles for the exercises and helps to prevent injury. Weights: Find your 15 rep max, 10 rep max, and 5 rep max for each exercise. Assign your rep maxes to the final day of each two week block. Now assign weights in a decreasing order (5 to 10 pound) starting from the last workout day to the first. Reps: 15 reps for the first 2 weeks, 10 reps for 2 weeks, 5 reps for 2 weeks, then continue with your 5 rep max for 2 weeks or begin 2 weeks of negatives. Strategic deconditioning: After 6-8 week cycles take one week for deconditioning. Hypertrophy-specific training is designed by Bryan Haycock. He is a physiologist who’s worked as a writer, editor, and as a coach. Click here to download HST workout PDF file.